This past week, my girls and their friends got the opportunity from Mom Select and Hot Locks to try out a new toy at a party in our home! At first I was intimidated by the thought of 10 little girls running all over my home… but it turned out to be a really good time! As far as the play went… the girls all loved that the dolls came with their own brushes and clips. They also loved the hair extension clips as well. Some of the girls began clipping hair extensions into their own hair! It was adorable. Some of the pitfalls we ran into… The salon playset was a hit… however… the chair was sort of tiny and unstable, so the dolls would fall out. The braid machine was difficult for the age grou p I was working with (4 and 5’s). I even had a token 8 year old who quickly became frustrated. One of the moms took some time to sit down and test it out. She had a great time with it and the girls loved the results… but I recommend you try the braid machine with older girls. All in all we had an amazing time. The dolls were a hit and everyone went home happy! The girls voted their favorite doll to be Lilly. She had a frog hot on her head! Thank you Mom Select and Hot Locks for allowing us to be a part of your test run! Disclaimer: I was not paid by Mom Select or Hot Locks for my opinion. This review was based on my own experiences. I was given product to use for this review… but it in no way swayed my views. To find a MIF chapter in your area… Click here. To find a PBP chapter in your area… Click here. First of all… I’d like to send the healing power of love to our good friend @shibaguyz. Shannon isn’t feeling well and won’t be able to make the show tonight. Be fear not… He will return! I used this tutorial for reference. See you at 10pm EST on MomTV! Owl Tutorial From 3/18 Sew Krazy! 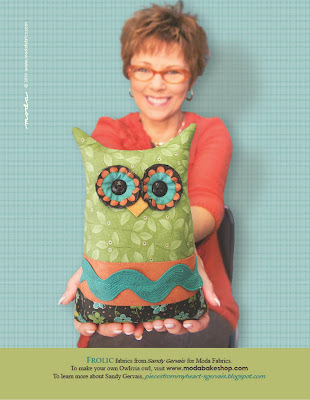 I promised to post the tutorial I used for the Owl project on March 18th’s Sew Krazy. Initially… I got the idea from Sevi Designs. Sevi has linked up to this tutorial! 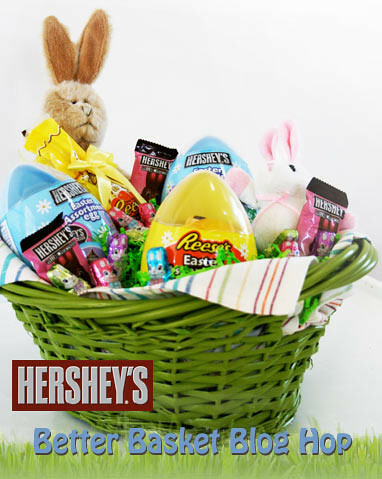 It’s Easter and I was able to participate in an amazing campaign with Hershey’s called #BetterBasket! Twenty bloggers, including me, we asked to head to our local Wal-Mart and check out some of the limited edition holiday candies by Hershey. Some of these candies are exclusive to Wal-Mart! We purchased baskets, toys, and plenty of Hershey’s candy to fill our baskets! Each blogger was then asked to donate the baskets to his or her community. We created 3 baskets and will be giving them to a local family that could use an Easter blessing. Here is our Whrrl Story if you’re interested! I will be posting a special #betterbasket post today that will explain how YOU can get involved and raise money for The Children’s Miracle Network! The Fine Print: Although I was not paid to write this post… Hershey compensated my shopping trip for Easter Basket supplies.